Renault left "very optimistic" about the gains it has made with its 2019 F1 engine ahead of the new season. Renault says the early signs from its all-new Formula 1 engine look “very promising” ahead of the 2019 season. The French manufacturer has developed a new power unit for the upcoming campaign in a bid to close up on the performance benchmark set by rivals Mercedes and Ferrari. Last season Renault recorded its best result since returning to F1 as a full works outfit in 2016 with fourth place in the constructors’ standings, while the squad has prized Daniel Ricciardo from Red Bull to lead its 2019 charge alongside team regular Nico Hulkenberg. 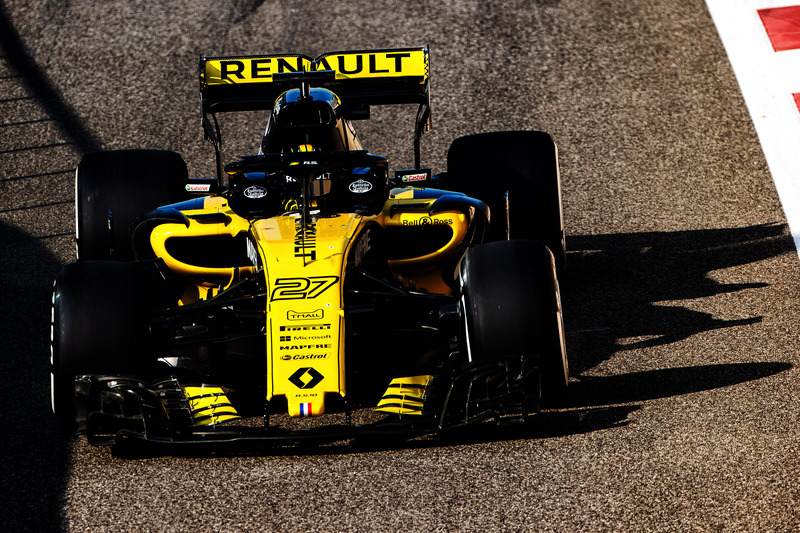 “We’re very optimistic on the engine side,” said executive director Marcin Budkowski when asked by Crash.net how the development on Renault’s new engine design was going. “But the engine is like the chassis side - it’s never finished until you close the engine that goes to the first race. “It is very promising in terms of performance but we still have to cross the t’s and dot the i’s in terms of reliability and durability etc, which we are doing now in Viry-Chatillon. “We are still doing work on the engines that will start the year, and in the end performance and reliability is a trade-off. You can extract more performance from any engine but it might not last the number of races, the number of sessions you want it to. Budkowski admitted Renault is keeping tabs on Red Bull’s progress with new power unit supplier Honda and sees an opportunity to capitalise should the move backfire. “Definitely any kind of shake-up is an opportunity,” he said. “It’s a threat as well. We are making progress on our engine development. Budkowski also revealed that Renault’s 2019 challenger is a completely new design, with only the power steering system used last year being carried over, in a renewed push to find added performance. “It’s always challenging to get a car out,” Budkowski explained. “There’s thousands and thousands of parts that we have to do. “The only thing we carried over from last year’s car is the power steering. That gives you an idea that all of the rest is changing and it’s changing because we are trying to squeeze more performance from every area. “It takes a big effort to do everything from scratch, and with the regulations, but at the end of the day it is a performance goal. Renault has passed the mandatory FIA crash tests ahead of its season launch event at its Enstone base on February 12 - in which it will unveil its 2019 F1 car ahead of pre-season testing which begins in Barcelona the following week. When asked if everything is on target ahead of testing, Budkowski replied: “It’s tight. It’s very tight. “It’s always tight and if it wasn’t it would be wrong because by definition you leave everything as late as possible to try to get as much performance as you can before you commit to manufacturing the parts and getting them onto the car.